CLEVELAND – April 11, 2018 – PRLog — An orange wave is taking over the country. 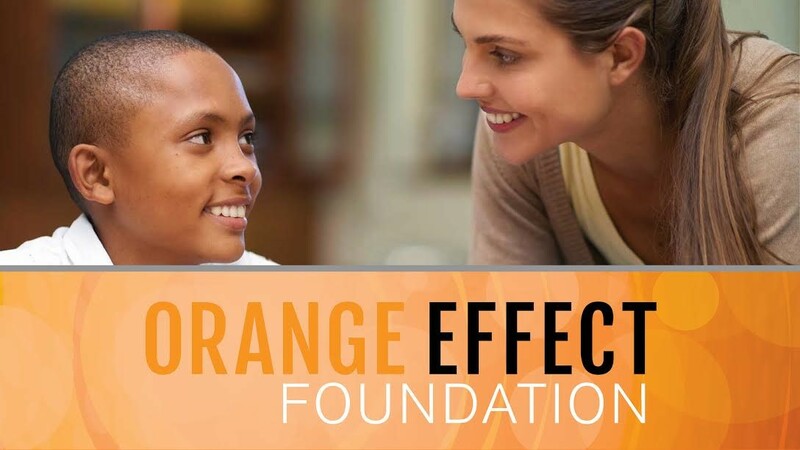 After a March 2018 board meeting, The Orange Effect Foundation is proud to announce that since it began awarding grants in late 2015, the foundation has funded over 85 children in 17 states nationwide. The most recent set of grants, awarded in mid-March after a thorough application review process, provides 26 children with more than $50,000 in funding for speech devices, summer speech camps, and over 400 hours of speech therapy. These grant awards will change lives. Speech devices will empower children with the ability to communicate needs, wants, and thoughts with friends, families and teachers. Summer speech camp will empower children with the confidence they need to navigate social settings. Speech therapy sessions will empower children with skills and tools required to communicate clearly. The Orange Effect Foundation awards quarterly grants through a competitive application and review process. The next grant application deadline is May 15, 2018. For more information and to obtain a copy of the grant application visit theorangeeffect.org. The Orange Effect Foundation (theorangeeffect.org) strives to ensure that every single person has the ability to communicate. The foundation, while officially formed in 2014, actually began back in 2001 when the founders’ son was born with autism. Early intervention has led him to be a very heartwarming and independent young man. The Pulizzi family wanted to give back by empowering other children with the therapy and tools they need to communicate effectively. In 2007, Golf for Autism was started, in time raising over $130,000 for autism and speech therapy services. This year’s event will be held on August 6, 2018, at Elyria Country Club. For more information, please contact theorangeeffect.org. A native of Cleveland, Maureen graduated from Cornell University and the Cornell Institute for Public Affairs. She is a former congressional liaison with a background in nonprofit communications. Maureen believes strongly in the mission of the Orange Effect Foundation as she has a nephew with autism and a daughter who benefited significantly from speech therapy.